The Inception Alveopora is a new strain of LPS we have been culturing for many years now. It's named "Inception" after the movie... has a perfect baby blue daisy shaped oral disc that lies in the middle of its perfect green round floral tentacles; like an alveopora within an alveopara. What is particularly charming about this coral is that its polyps are uniquely, small, with long thin stalks, almost like a G. stutchburyii when it gets stretchy polyps. 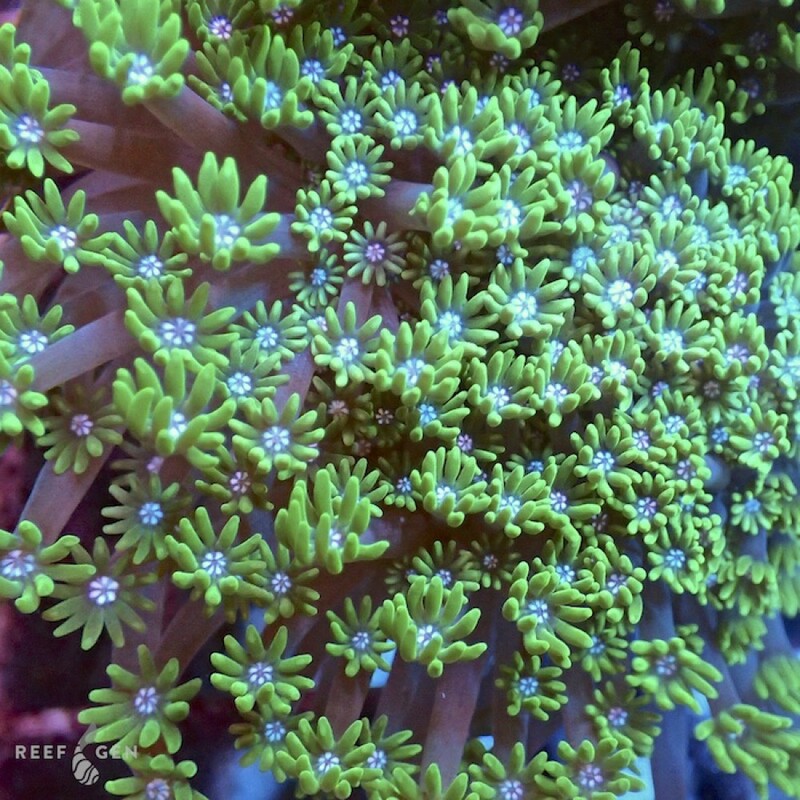 This is our new favorite goniopora because of its beautfiul shape and color. It is hardy and low maintenance. It does not require supplementary feedings, but it will grow faster with feedings.